The exhaust spit out a large amount of fiberglas like material and the mechanic says I need 2 new catalytic converters costing about 1200K with oxygen sensors if needed. I have a 2010 Connect with 51K on it. He also said that it may still be covered for 10 years or 100K. Is any of this true? Your 2010 model year may be out of warranty. But ask if an "after warranty adjustment" can be applied. Your vehicle or engine is designed, built, and equipped to meet – at the time it is sold - the emissions regulations of the U.S. Environmental Protection Agency (EPA). Your vehicle or engine is free from emission-related defects in factory-supplied materials or workmanship, which are defects that could prevent the vehicle or engine from conforming to applicable EPA regulations. You will not be charged for diagnosis, repair, replacement, or adjustment of parts containing an emissions-related defect. The emission warranty coverage period is 8 years or 80,000 miles (whichever occurs first) for catalytic converters, electronic emission control units, and onboard emissions diagnostic devices. All other parts covered under your emissions warranty are warranted for 3 years or 36,000 miles whichever comes first. The emissions warranty coverage period for heavy duty vehicles (HDVs) is 5 years or 50,000 miles (whichever comes first) for all parts covered by your emissions warranty. Only for HDVs not designated as “vocational vehicles” on the underhood “VEHICLE EMISSION CONTROL INFORMATION” label: The 5 year/50,000 mile warranty includes coverage of components whose failure would increase the vehicle’s emissions of air conditioning refrigerants. Only for HDVs designated as “vocational vehicles” on the underhood “VEHICLE EMISSION CONTROL INFORMATION” label: Tire defects that affect compliance with emission standards are covered for 2 years or 24,000 miles, whichever comes first. Your vehicle fails to conform, during the warranty coverage period, to the applicable national EPA standards, as determined by an EPA approved inspection and maintenance program. Your vehicle has not been tampered with, misused, or abused. 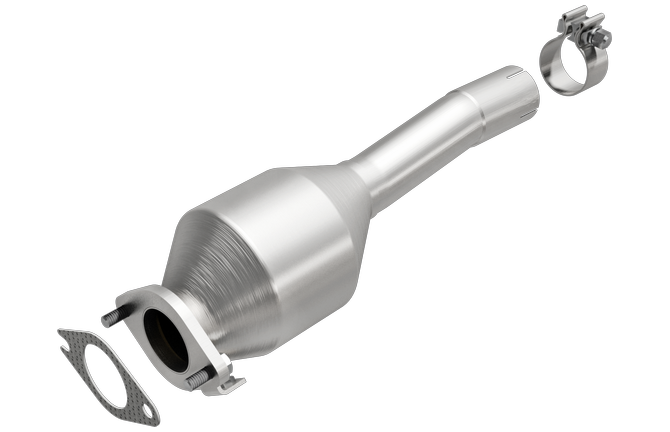 T8 years or 80,000 miles (whichever occurs first) for catalytic converter, electronic emissions control unit, and onboard emissions diagnostic devices. 2 years or 24,000 miles (whichever occurs first) for all other covered parts. 5 years or 50,000 miles (whichever occurs first) for all covered parts. If your vehicle fails a Smog Check inspection, all necessary repairs and adjustments will be made by Ford to ensure that your vehicle passes the inspection. 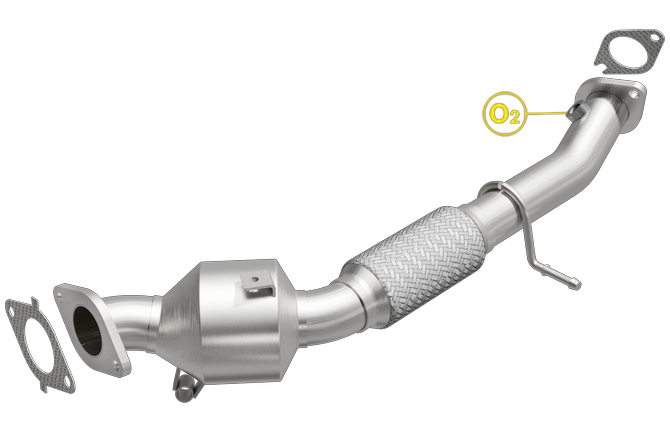 This is your emission control system PERFORMANCE WARRANTY. If any emissions-related part on your vehicle is defective, the part will be repaired or replaced by Ford. This is your short-term emission control system, DEFECTS WARRANTY. If an emissions-related part listed on pages 27 and 28 with coverage for 7 years or 70,000 miles is defective or if its failure causes your vehicle to fail a Smog Check inspection, the part will be repaired or replaced by Ford. This is your long-term emission control system DEFECTS WARRANTY. If an emissions-related part on your vehicle is defective, the part will be repaired or replaced by Ford. This is your emission control system DEFECTS WARRANTY. If an emissions-related part on your vehicle is defective, the part will be repaired or replaced by Ford. This is your emissions control system DEFECTS WARRANTY. Have you had a Trouble code? I would have your tech do a scan, Check the O2 sensors to see if they are responding with the correct voltage. The converters might be fine, and the fibreglass might be from the resonator.